← Kevin Youkilis to the White Sox: What Happened in Boston? After finishing 2nd in ROY voting in 1972, Steve Rogers went 33-51 during the next 3 years. The Expos stuck with their 4th overall pick in the 1971 Amateur Draft(and the clubs all-time wins leader.) Rogers rewarded the Expos for their patience by going 107-70 between 1976-1983. -a means they were drafted by the Expos, but never signed and re-entered another draft to be selected by a different team. The ‘Big Unit’ sits 23rd on the All-Time MLB Win List and he struck out 4875 batters, which is 2nd to Nolan Ryan all-time. Johnson threw both a perfect game and a no-hitter in his career. He is a 5 time Cy Young Winner, a 10 time ALL-Star, led the league in strikeouts 9 times, ERA 4 times and won the triple crown for wins, ERA and Strikeouts with the Diamondbacks in 2002. Johnson was the CO-MVP of the 2001 World Series winning Diamondbacks. He struck out 19 batters in a game twice. His .646 winning percentage is good for 31st All-Time. He will certainly be a first ballot Hall of Famer when he is available on the 2015 ballot. Vazquez has struck out 200 batters or more on 5 different occasions and has 12 straight years of double digit wins. Javier was in the top 10 for wins of the decade (2000-2009) with 138. He was an ALL-Star in 2004 and finished in the top 5 of Cy Young voting in 2009 with Atlanta, where he was 15-10 with a 2.87 ERA. Vazquez has earned 99 Million dollars in player salary so far. 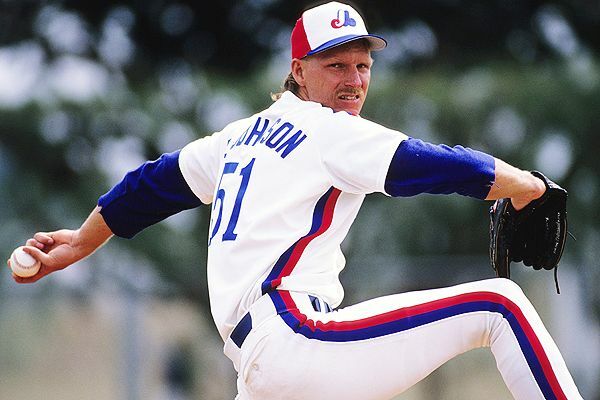 Sanderson was 56-47 in his career with the Expos with a 3.33 ERA. His best season came with the Oakland A’s, where he was 17-11 and was part of a rotation that led the team to a World Series. Sanderson made his only appearance at the ALL-Star game in 1991 during a 16-10 campaign for the New York Yankees. Gullickson was noted for having Diabetes and overcoming it in is career. He was 72-61 for the Expos with a 3.44 ERA, including finishing 2nd in Rookie of the Year Voting in 1980. After signing in the Japanese league for a rich 2 Million Dollar Contract for the 1988 and 1989 seasons, he returned to the MLB in 1990 with the Astros. Gullickson went on to win 20 games for the 1991 Detroit Tigers. Gullickson also finished 8th in CY Young voting that year. Rogers is the all-time leader in wins, losses and strikeouts for the franchise. In 1973, he finished in 2nd for Rookie of the Year voting. in 1982 Rogers led the league in ERA. Over his career, the Missouri native threw 129 CG and 37 shutouts. He lead the NL in shutouts 2 times and Complete Games once. Rogers was a 5 time ALL-Star and finished in the top 5 CY Young voting 3 times. He had a 3-1 record with a 0.97 ERA despite giving up the Rick Monday HR in the 9th inning of the Game #5 NLCS on 2 days rest. Boddicker was drafted by the Expos but went back into the draft. He led the league in shutouts in his rookie year with the Orioles and finished up 3rd in Rookie of the Year voting in 1983. Boddicker was 2-0 in the post season en route to a Baltimore World Series trophy. The next year, Boddicker led the league in wins with 20 and a 2.79 ERA. He finished 4th in Cy Young voting that year, 25th in MVP voting and made his only ALL-Star team. Rueter won his 1st 8 games in 1993 as a rookie for the Expos. He finished 7th in Rookie of the Year voting. He ended up 25-12 . (676) for the Expos, which is their career winning percentage leader with a minimum of 25 wins. He is 3rd on the SF Giants (if not counting the NY Giants) all-time win list with 105. Rueter had a 8-6 record in the post season with a 3.79 ERA. Cliff Lee was the key piece coming back to the Cleveland Indians in the Bartolo Colon trade. Great trade for the Indians as it also netted them Grady Sizemore and Brandon Phillips. Lee is a 3 time ALL-Star, a one time CY Young Winner, has led the league in wins one time, winning percentage twice, shutouts twice, complete games twice and ERA once. In addition to his Cy Young Award in 2008, he has 3 other top 10 CY Young finishes in other years. At .620 for a career win percentage, he ranks right up there in this category amongst active and retired pitchers. Ugueth Urbina was a 2 time ALL-Star and led the league in saves for the Expos in 1999. He saved 40 games twice and 30 games twice. He saved 125 games for the Expos in his time with them, this is good for 3rd all-time on the club. In a weird end to his career, Urbina is now serving 14 years in prison for attempted murder of some farm workers on his property. He was only 31 when this happened. He is the only person in MLB history with the initials UU. Gardner was 58-45 with the San Francisco Giants. His best year was 1998, where he was 13-6 (.684) and topped 200 innings pitched for the only time in his career. Jeff Reardon is the ALL-Time Saves leader for the Montreal Expos with 152 of them. Reardon was a 4 time ALL-star. Reardon sits 7th on MLB’s All-Time Saves List. ‘The Terminator’ had 3-40 save seasons and 4-30 save seasons. Jeff led the league in saves for the 1985 Expos team. Reardon won a World Series with the 1987 Twins. He also finished 18 games in the post season for the Expos, Red Sox, Twins and Braves during his post season career. Hesketh was 10-5 with a 2.49 ERA during his 1985 rookie year with the Expos. He would go onto finish 8th in Rookie of the Year voting. Hesketh was 29-19 (.604) for his career with the Montreal club. In 1991, Hesketh led the AL in win percentage with a 12-4 record for the Boston Red Sox. Charlie Lea was 55-41 (.573) for the Expos with a 3.32 ERA. During his only ALL-Star season in 1984, he was 15-10 with a 2.89 ERA. Lea threw a no hitter in 1981 for the Expos. Charlie suffered from elbow and shoulder injuries, so he didn’t pitch in either 1985 or 1986 before trying in 1987 and 1988. He was 7-7 with a 4.85 ERA with the Twins in his last season in the Major Leagues. Erik Hanson was one of the better pitchers for the Seattle Mariners in the early 90’s. For his best year, he was 18-9 with a 3.24 ERA in 1990. In his only ALL-Star season, the New Jersey native was 15-5 with a 4.24 ERA. He was traded by the Mariners in 1993 for eventual 10 year Mariner (Dan Wilson). Norm Charlton never played for the Montreal Expos. This former ‘Nasty Boy’ was part of a trio of relievers who helped take down the power house Oakland A’s in the 1990 World Series by a sweep. Charlton’s bullpen running mates in Cincinnati were Randy Myers and Rob Dibble. Charlton made the ALL-Star team in 1992 with Cincinnati in a year he had 26 saves. Jeff Brantley was drafted by the Expos and never signed, but made the ALL-Star team in 1990 for the SF Giants with a sub 1.00 ERA at the break. His best days resided in Cincinnati, where he led the NL in saves for 1996 with 44. Brantley’s ERA for his 4 years with the Reds was 2.64, where he struck out 217 hitters in 218 innings. 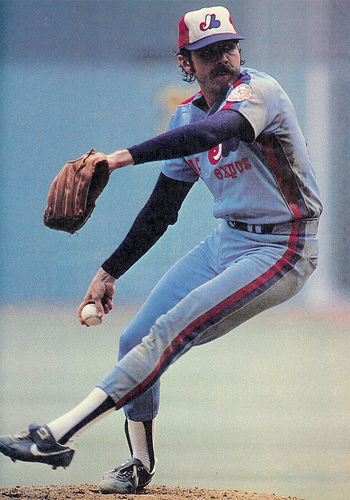 Rojas was 29-23 (.558) with a 3.11 ERA and 109 Saves for the Expos which ranks 5th on their All-Time Saves List. His best season was in 1992, when he posted a 7-1 record in 68 relief appearances. Rojas had an amazing 1.43 ERA in 100 innings. Cordero is 2nd all time in franchise saves with 128, he also sports a 20-14 record and a 2.79 ERA with the club. In 2005, he led the NL with 47 saves, was an ALL-Star, finished 5th in Cy Young voting and 14th in MVP voting. He became the 2nd youngest pitcher to reach 100 saves to Francisco Rodriguez. Cordero was a member of the 2006 USA team in the World Baseball Classic. The Draft and Signing Record of the Montreal Expos was far superior to any other team. Maybe the Dodgers could challenge them with their 9 Rookie of the Year Candidates, but the overall talent was not as great. It is no coincidence that as soon as the Expos were given back to MLB, the entire Expos baseball operation all flocked down to Florida with Departed Expos owner Jeffrey Loria. The Expos were originally going to be contracted with Minnesota Twins, however the fans rallied around the Minnesota club and salvaged the franchise and foiled the MLB efforts. MLB could not contract just the Expos. John Henry sold the Marlins to Loria after buying the Boston Red Sox. Since 2002, the Marlins baseball operation(comprised of a lot of Expos talent scouts) has drafted: Josh Johnson, Gaby Sanchez, Logan Morrison, Chris Volstad and Giancarlo Stanton. The scouting staff also had a major influence in acquiring Hanley Ramirez in a trade for Mike Lowell. The staff also picked off Dan Uggla in the rule 5 draft in 2005. In some ways, the baseball department has had to operate the same way the Expos had with the Marlins, with always trading away veterans for young talent when the players were eligible to leave. With the revenues generated from the new Marlins ballpark, the Marlins finally spent some money in this past off season. The scouts will still be hard at work to keep up with their proven track record in the future. So when the Expos turned into the Nationals, there were many skeptics who worried that a new scouting regime for the franchise would not have as much success as Montreal had. The Zimmermans, Bryce Harper, Drew Storen and Stephen Strasburg can have a lot to say about this. Strasburg has a chance to be the best all-time pitcher for the Expos/Nationals franchise. Will he remain a National long enough to challenge Steve Rogers 158 wins? 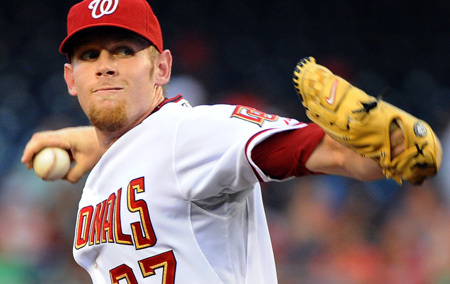 Stephen Strasburg is 15-6 (.714) with a 2.57 ERA in his career so far with 237 Strikeouts in 182 Innings. He is leading the NL in strikeouts in this year with 118 as of today. Will he go down as the franchise’s best pitcher? Posted on June 27, 2012, in The Rest: Everything Baseball and tagged Atlanta, Bill gullickson, boston red sox, brandon phillips, bryce harper, bryn smith, chad cordero, Charlie Lea, chicago cubs, Chuck Booth. 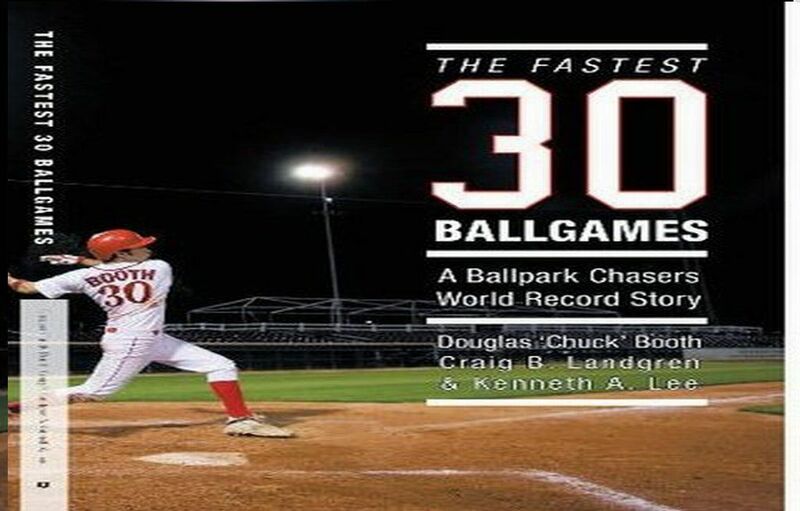 fastest 30 ballgames, cincinnati reds, cleveland indians, cliff lee, cy young, dan uggla, Dan Wilson, delino deshields, dennis martinez, drew storen, Erik Hanson, florida marlins, gaby sanchez, gene harris, giancarlo stanton, grady sizemore, hall of fame, hanley ramirez, javier vazquez, jeff brantley, jeff reardon, jeffrey loria, joe hesketh, john henry, josh johnson, ken hill, kirk reuter, logan morrison, mark gardner, mark langston, mel rojas, mike boddicker, Mike Lowell, minnesota twins, montreal expos, Norm Charlton, oakland athletics, orioles, pedro martinez, randy johnson, Randy Myers, rick monday, rob dibble, scott sanderson, seattle mariners, sf giants, stephen strasburg, steve rogers, tigers, ugueth urbina, washington nationals, world series. Bookmark the permalink. 6 Comments.